With Denver’s expressways being massive parking lots on wheels and parking at a premium (both price and availability), many travelers are looking for alternatives while in that portion of the state. The following and the next four articles provide choices to keep travelers content while avoiding those hassles. Located halfway between Golden and Evergreen on I-70, between exits 253 and 254, is Genesee Park. With land acquired in 1912, it was Denver’s first mountain park and at 2,413 acres, its largest. You'll find charcoal grills and picnic areas as well as a softball field and facilities for volleyball, and horseshoes. Hikers may want to try the 8.65 mile Beaver Brook Trail connecting Genesee to Lookout Mountain Park. The private, seasonal Chief Hosa campground provides tent and RV sites, but due to lot size and lack of sewer hookups, it is not big rig friendly. The park provides a unique “Braille Trail”. Designed for blind hikers, it has interpretative signs in braille and waist-high guide wire. 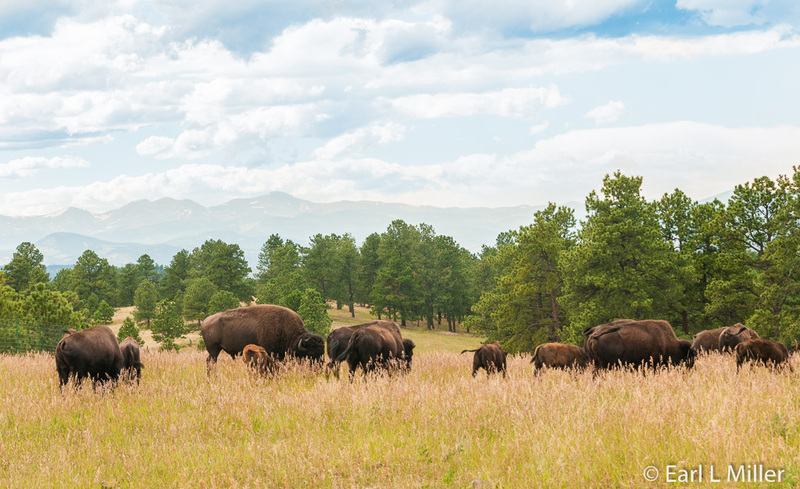 Special is the opportunity to see the city-owned buffalo herd graze. They are descendants of ones brought from Yellowstone National Park in 1914. Their pasture, on the south side of the road, is huge, so this herd of about 40 adults and calves moves daily. Taking time to drive around the park to find them is worth it. They’re so much fun to observe, you can easily lose all track of time just watching and photographing them. The park also mentions a herd of elk in their literature; however, on our three visits here to see the buffalo, we never saw one elk. 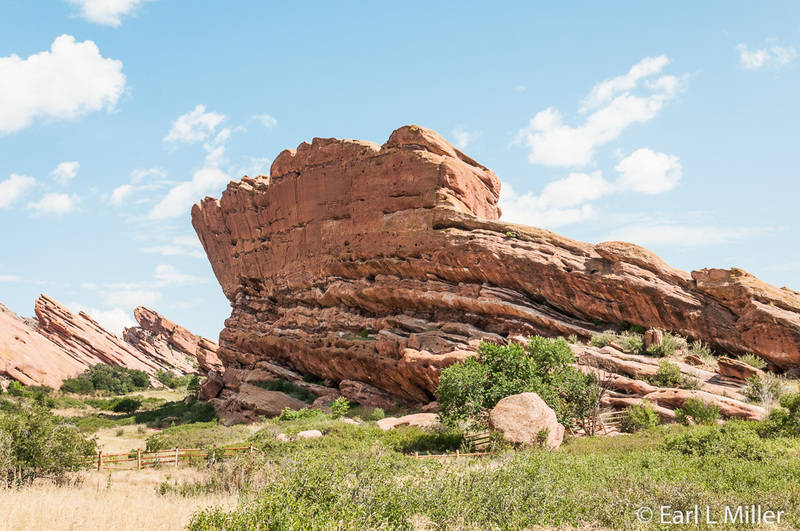 Red Rocks Park at Morrison, 15 miles from Denver, is a Denver Parks’ treasure. 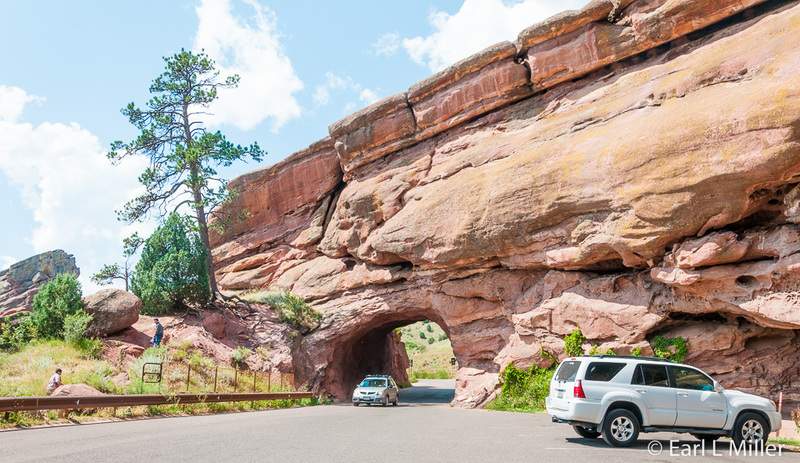 It is known for its large, red sandstone formations and a natural amphitheater, a world famous venue since 1941. Here everyone from the Beatles to Bill Clinton have appeared. The park exists in a transitional zone where the Great Plains meets the Rocky Mountains. Visitors can see animals, birds, and plants from both regions. Opportunities exist for hiking, biking, and picnicing. Photographers should visit during the morning and the afternoon as half the formations are backlit depending upon the time of day. Red Rocks Park is open one hour before sunrise to one hour after sunset when there are no special events. When there are performances, the amphitheater and visitor center are off limits, sometimes before noon, but always after 2:30 p.m. Originally a former campsite for the Utes, Stephen Long, leading an Army expedition in 1820, discovered it. Martin Van Buren Luther, a Colorado judge, gave the area it earliest known name of Garden of the Angels in 1870. When John Brisben Walker, former owner and editor of Cosmopolitan Magazine, purchased the property in 1906, he organized concerts on a temporary stage. He called the site Garden of the Titans. Denver renamed it Red Rocks when the city acquired the property in 1928. It was one of the last of the mountain city parks to be obtained. From 1936 to 1941, 200 workers from the nearby Civilian Conservation Corps camp constructed the open air amphitheater. They used ten boxcar loads of cement and 90,000 square feet of flagstone to build it. It has been touted as the CCC’s largest and most ambitious project. The amphitheater is located between two 300-foot natural monoliths, Ship Rock and Creation Rock, providing incredible acoustics. During 1959, the original stage was reconstructed. In 2001, the park added a new visitor center and stage. Seating capacity is 9,525 with all seats unobstructed. The dedication concert was held June 15, 1941. It consisted of an organist, a boy scout troop performing Native American dances, the Denver Municipal Chorus and Orchestra, and Metropolitan star, Helen Jepson Fall. A stop at their visitor center allows you to see the complete time line of those who have appeared since. The list of names is a “Who’s Who” of everyone in the entertainment industry. From the Kingston Trio to the Tiajuana Brass, from Johnny Cash to Neil Sedaka, they have all performed here, many of them a number of times. Check out the theater to see the “Best of the Red Rocks Concert Footage” and view the Performers Hall of Fame. It currently honors fifteen performers including John Denver, the Beatles, Carlos Santana, Sting, Willie Nelson, and The Grateful Dead. Red Rocks offers a variety of food and beverage options from lunch and dinner at the Ship Rock Grille to a snack or coffee at the Trading Post’s Java City Coffee. 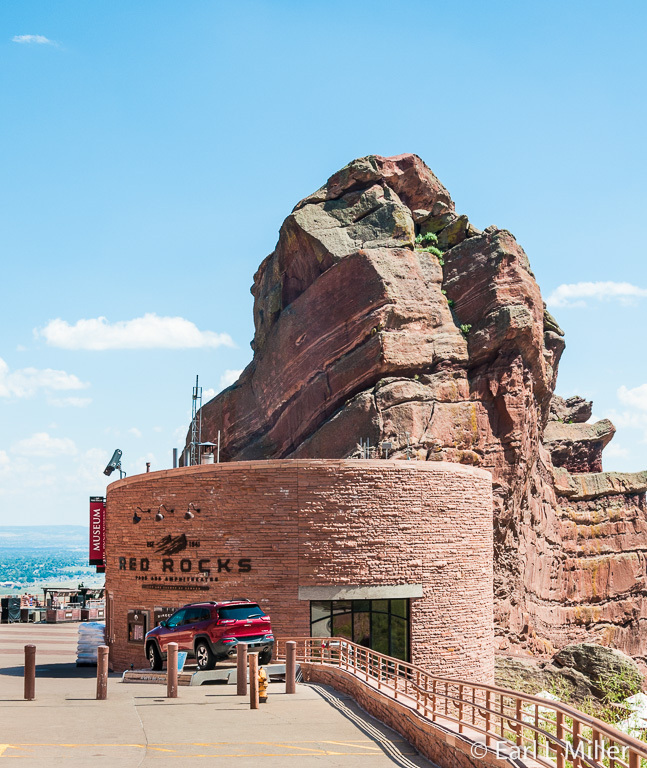 Located in the Red Rocks Visitor Center, the Ship Rock Grille is open daily from 10:30 a.m. to 2:30 p.m. for lunch. On concert nights, diners must have a ticket to the show and reservations are highly recommended. The Trading Post, open 9:00 a.m. to 4:00 p.m., also offers Red Rock souvenirs. 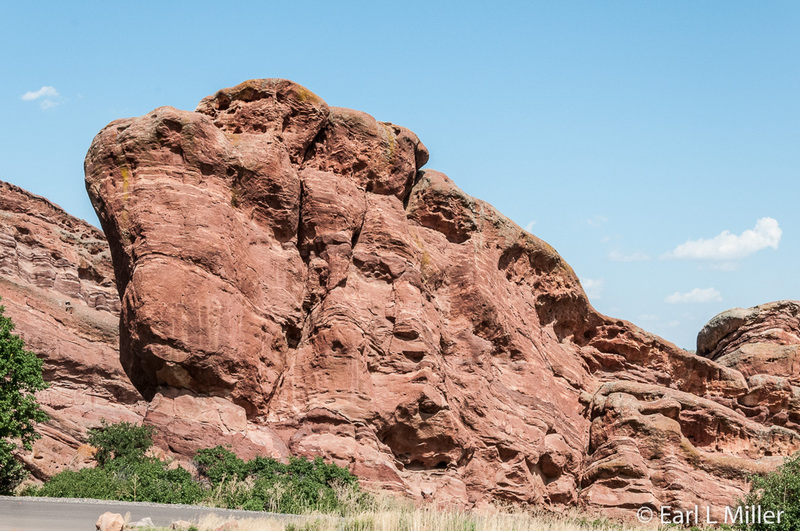 To obtain information on the past and current lineup of performers, how to obtain tickets, handicap access, and parking (which can be a problem requiring a hike), go to Red Rocks Park. 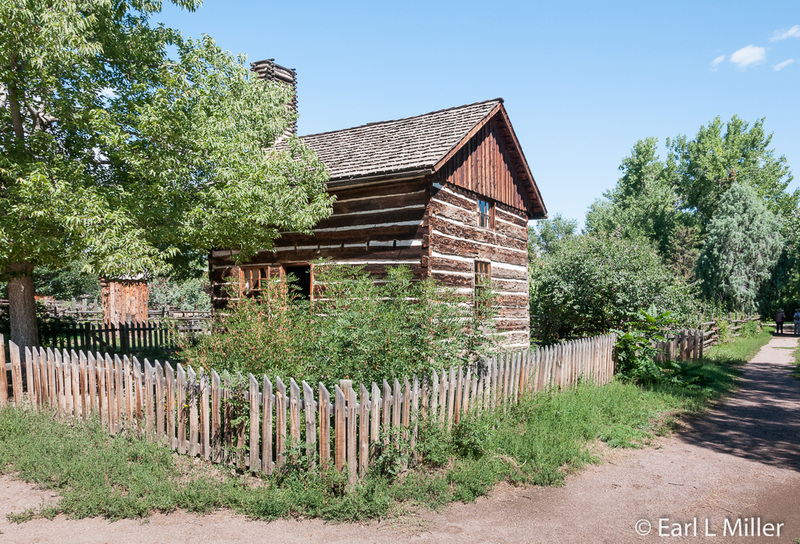 The Littleton Museum in Littleton, Colorado is an attraction on 40 acres which can occupy a full day. We spent the morning exploring its two living history farms and returned, after lunch at Merle’s, to view their wonderful historic galleries. They also have a small interactive children’s gallery, a research center, and a Fine Arts Gallery. The museum, regarding their exhibits, is affiliated with the Smithsonian. Unfortunately, no photography is allowed inside their main building, but it is allowed at the farms. The Permanent Gallery traces the history of Littleton from 1859 to the present via time lines, artifacts, and photographs. As Denver City grew, the growth required a system of irrigation ditches to supply water to area farms and businesses. One engineer brought in to lay out these ditches was Richard Sullivan Little of New Hampshire. He fell in love with the site and decided in 1862 to move to what is now present day Littleton. In 1867, with the help of several neighbors, he constructed the Rough and Ready Flour Mill providing an economic base for the young community. It had a market in Denver, but much of the flour was shipped to the East. The Denver and Rio Grande Railroad’s arrival in 1871 led to the area’s growth. In 1872, Little filed a plat turning much of his property into the village of Littleton, and in 1890 Littleton became incorporated. Becoming the county seat of Arapahoe County led to increasing the population as government and supporting businesses moved into the city. Agriculture, particularly wheat and sugar beets, remained Littleton’s primary industry until after World War II. Manufacturing, beginning with the aerospace industry, became the main impetus from the 1950's through the 1970's. It became the home of Arapahoe Community College in 1965 and the Chatfield Reservoir in 1972. By 1990, the population reached 30,000. Littleton’s Main Street was declared a National Historic District in 1998. Horse racing fans might be interested in the gallery’s exhibit on Centennial Racetrack, which operated in Littleton from 1950 to 1983. In 1951, the track’s horse Phil D. finished fourth in the Kentucky Derby. It was their only horse during the track’s history in the Derby. Street names in Centennial Acres, near the racetrack, were all named after American racetracks. The second gallery, a temporary one, hosts through August 16, 2015, “Littleton Goes to War.” In addition to a video depicting major events during World War II, exhibit cases are dedicated to each branch of the military including the WACS and the WAVES. The Marine/Navy case has models of six ships such as the USS Missouri, USS Lexington, and the SS Jeremiah O’Brien Liberty ship. The Army Air Corp case has eight models of planes used during the war. Examples of these are the Lockheed P-38 Lightning, Boeing B-17G Flying Fortress, and the Chance Vought F4U-1A Corsair. The exhibit discusses how Littleton men flooded to recruiters, citizens planted Victory Gardens, the rationing of food and supplies, and the movement into manufacturing. Coleman Motor Company and Heckethorn Manufacturing were two Littleton firms that contributed mightily to the war effort. Coleman Motor Company made four-wheel drive trucks. What made them different was the vehicles had universal joints where as much as three times the power could be applied to the front wheels as competitors. When the contract for these trucks was canceled in 1943, the government asked Coleman to produce 720 2-wheel trailers. By early 1945, they had filled the order and started manufacturing trucks again. By the time the war ended, they had made 175 trucks out of an order for 1,000. Heckethorn (Heco) Manufacturing Company made consumer goods before the war - photo equipment and “E-Z Kloze” screen doors. They received in 1941 an order for 12,500 hospital trays to be sent to army hospitals in Texas, California, and Iowa. That same year they made 20mm projectiles for the Navy for anti-aircraft guns and machine guns. They also made several hundred thousand 4.2 inch mortar fuses for the Navy. In 1943, they doubled their fuse production. Another order was making “Hecomatic” auto in-feed attachments for centerleaf grinders to make 20mm projectiles. These were sold to other plants producing 20mm projectiles. To add interest to this exhibit, take time to look at the various war themed paintings scattered around this gallery. A third gallery, the Fine Arts Gallery, closed for a new installation during our visit, is home to original art and photographic displays. End your exhibit inside at the museum’s theater which shows a 12-minute video on the history of Littleton and its museum. Now it’s time to explore the two living history farms. 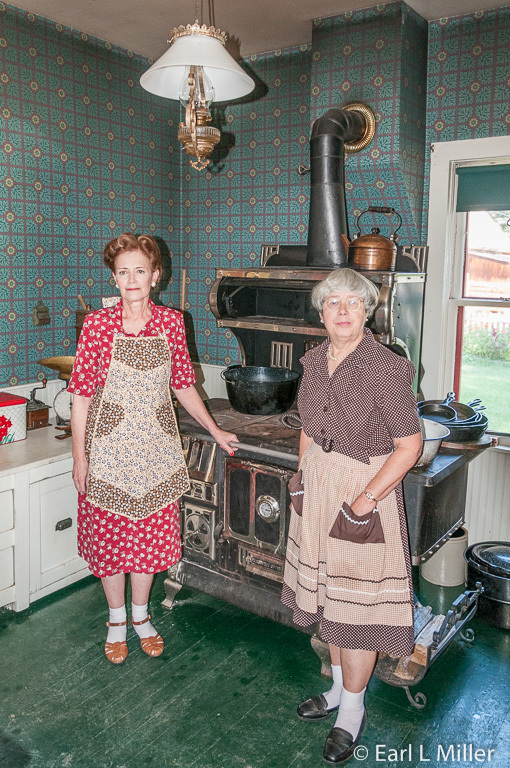 Both have period-costumed, knowledgeable docents willing to answer your questions or pose for a photograph. 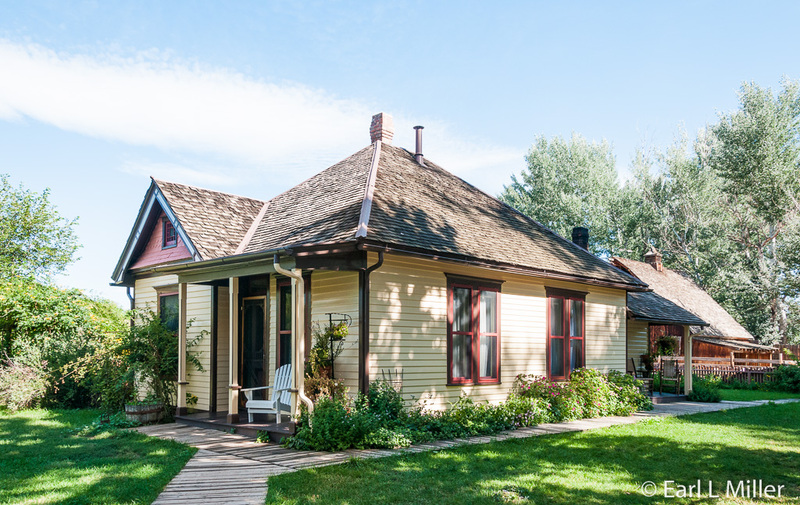 The 1890's farmhouse comes from what is now downtown Littleton. It’s original site was east of the railroad tracks near the courthouse. Other buildings - a barn, tool shed, and outhouse - are reproductions. The home has been converted to represent 1941 to 1945 during the war exhibit. While the home’s interior is 1890, the furniture, currently in it, would have been found in a 1940's residence. Our guides, Julie and Vernetta, took us through the property and then pointed out the Victory Garden in back. Julie showed us a scrapbook on movies that had played in Littleton during 1941-42. It was quite interesting to leaf through. We visited the adjacent blacksmith shop whose time period is reconstructed to 1903. 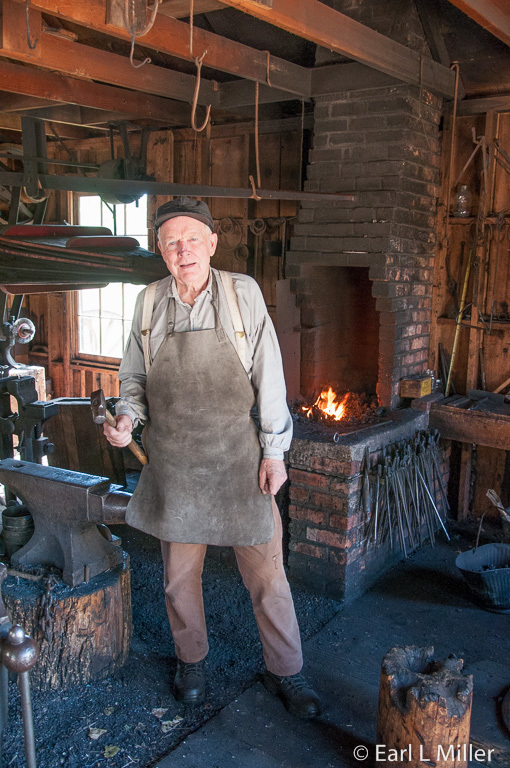 Three volunteer blacksmiths work at this museum. Dan O’Shea, whose father was a ferrier, said he explains to adults the forge’s process and demonstrates to children what happens when iron is hot. We saw a lot of tools and a collection of various sized horseshoes. 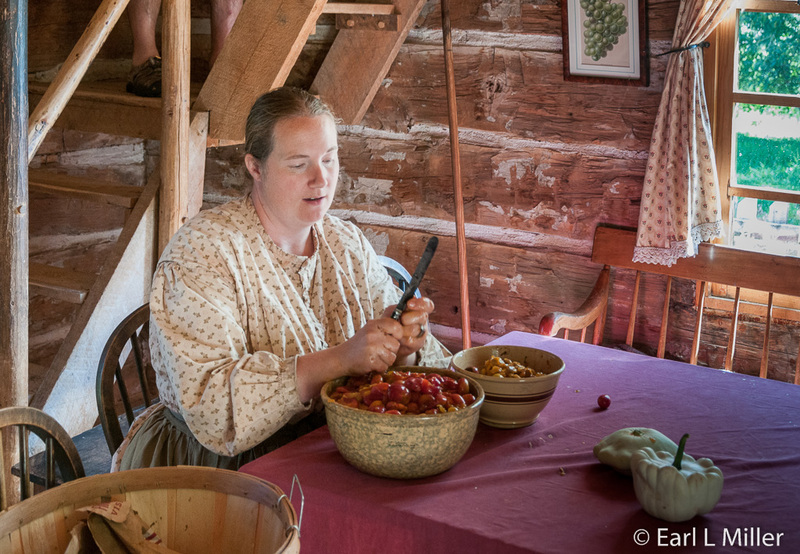 The 1860's farm represents a pioneer homestead. Our guide, Amy, said its cabin had been located at the same site as our campground, South Park, in Englewood. Other buildings have also been relocated here. A sheep pen, originally an early settler’s cabin; a root cellar; and an icehouse are among these. A reconstructed log barn, erected in 1983 to represent a similar log barn, is comparable to those built in the South Platte River Valley. Littleton’s original schoolhouse (circa 1865) is also on this farm. You’ll also see animals. I spotted a large spotted pig which I learned weighed 300-350 pounds. They also have mules, turkeys, peacocks, chickens, and sheep. You’ll find Littleton Museum at 6028 S. Gallup Street in Littleton. Their telephone number is (303) 795-3950. Operating hours are Tuesday-Friday 8 a.m. to 5 p.m., Saturday 10 a.m. to 5 p.m., and Sunday 1-5 p.m. They are closed Mondays and holidays. Admission is free with donations gratefully accepted. Open from 11 a.m. to 12 a.m. daily, Merle’s at 2609 W. Main Street in Littleton is very popular with locals. The building was a gas station in the 1930's (Skelly’s) then Mark’s Alignment, an automobile garage. In 2008, the structure became a restaurant. It still has the original garage doors and vintage signs. They serve everything from eggs benedict for breakfast to build your own burgers, and butterscotch blondies. Many dishes have a southwestern flair to them. Merle’s has a complete bar including margaritas and martinis. Patio and rooftop dining are available. Their telephone number is (303) 797-6008. 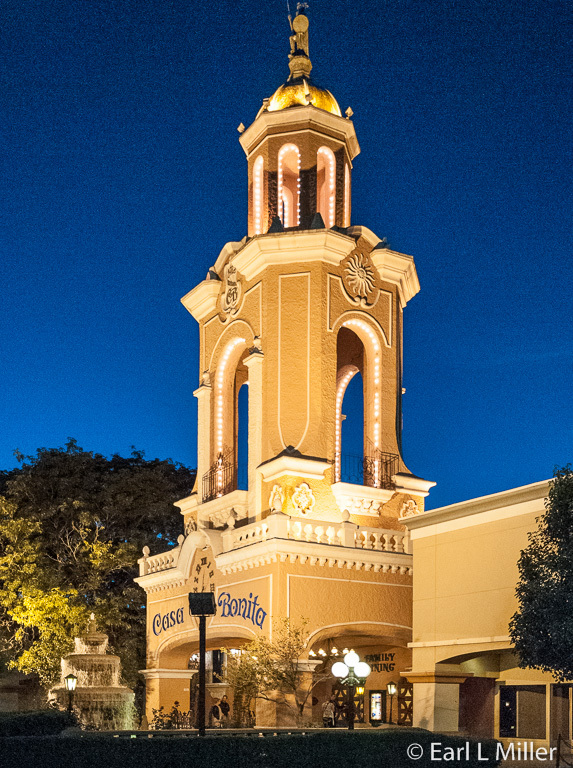 Casa Bonita is a 52,000 square foot Mexican restaurant known for its entertaining atmosphere, particularly for families with children. It can seat over a thousand guests. Hokey shows of some type, lasting from two to five minutes each, take place on the quarter hour from 11:15 a.m. to 1:00 p.m. and 5 to 10 p.m. These include an occasional gunfight and, on weekends, gorilla and Pirate/Golden Idol shows. But most are where a female diver performs one to three swan dives into a 14-foot deep pool, many from on top of a cliff housing an artificial 30-foot waterfall. The restaurant also has an arcade, strolling Mariachis, a magician, and a puppet show. If you go, purchase the house specialty, the Deluxe, All-You-Can-Eat dinner for $14.89. You order either chicken or beef and get two tacos and an enchilada. Accompanying these are a cheese enchilada, Mexican rice, refried beans, chips, salsa, and homemade sopaipillas (small squares of fried bread with honey). Dinners are served in a cafeteria line and food is average. Coupons on Casa Bonita brochures will save you $3 per Deluxe dinner up to six people which makes it more reasonable than their other dinners. The restaurant also has coupons for specials on their site. You’ll find Casa Bonita at 6715 West Colfax, near Lakewood in Denver. Their telephone number is (303) 232-5115. Our choice for quality food in the Lakewood area is White Fence Farm where we went twice. Known for its famous 4-piece chicken dinners, your meal is served family style in one of eight dining rooms. An individual choice of potato: baked, fries, or mashed accompanies your entree. After you are seated, your server quickly appears with bowls of hot corn fritters, pickled red beets, bean salad, cottage cheese, and creamy cole slaw. If you run out of any of these five sides, your server will bring out more. Besides chicken, they offer roast turkey, shrimp, broiled or fried fish, T-bone or New York Strip steaks, and even liver and porkchops. For dessert, it’s everything from an ice cream sundae to homemade pies, fruit cobbler, cheesecake, or Brandy parfait. Before or after dinner, it’s time to explore the farm and their shops. In the Silo are Colorado Christmas providing a variety of ornaments, Retro Candy Cupboards selling old fashioned candy, and Granny’s offering fudge and homemade pies. 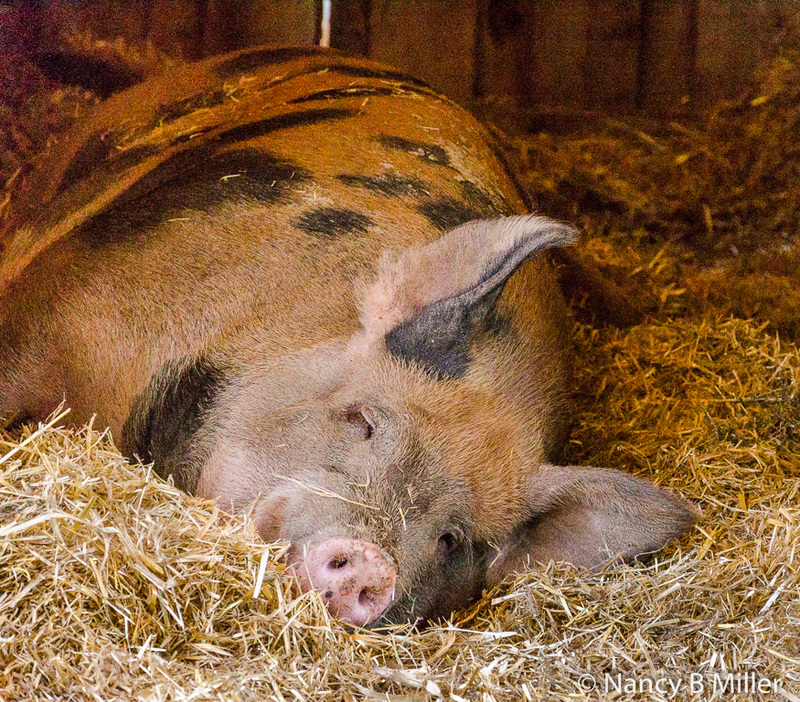 Older youngsters can slide down the “Pig Chute”, a two-story slide going from the second to the first floor of the barn or enjoy pinball or classic arcade games in the Silo. On most nights, diners can enjoy free bluegrass or country entertainment in the Americana Barn. You can observe the ducks in the pond, check out the peacocks in the aviary, or pet the farm animals in the “O.K. Corral.” The youngsters can also enjoy the playground complete with treehouse. Two shops, located in historic buildings, are Country Cupboard featuring household gifts and Giggleblossom Cottage specializing in children’s gifts and clothing. They also offer carriage rides. White Fence Farm started in 1973, on the same site, under a different name, “Wilson’s Good Eating” and is now run by the third generation of the Wilson family. The Farm serves dinners Tuesday through Saturday from 4:30-8:00 p.m. and Sunday from noon to 8:00 p.m. They are closed on Mondays and during the month of January. Reservations aren’t taken for groups of less than fifteen. Their address is 6263 West Jewell Avenue in Lakewood and their telephone number is (303) 935-5945.